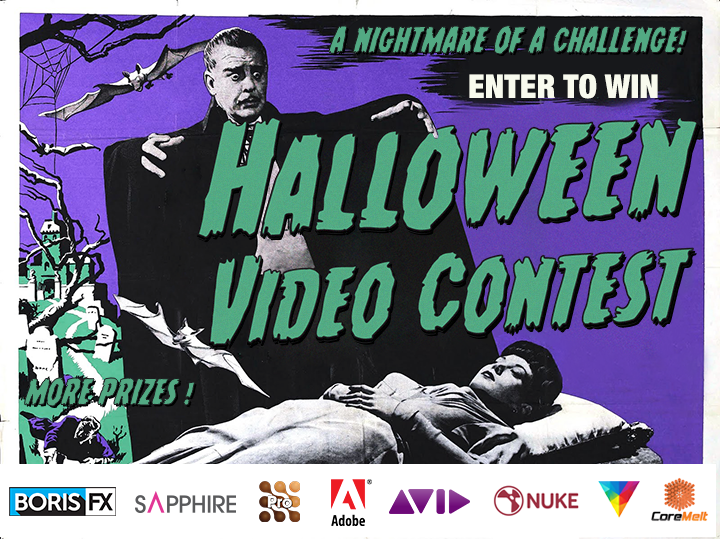 Boris FX, GenArts & Imagineer Systems has teamed up to hold a competition for users to create a Halloween-themed short. You can create as many entries as your heart desires for an even greater shot at awesome prizes… including an Oculus Rift VR headset! Submit a short (no longer than 5 minutes). All videos must use either: Boris Continuum, Sapphire or mocha software in the production. You may submit older projects for consideration, but preference will be given to newer projects. Create an interesting, scary or humorous Halloween themed short video. Upload your finished video to Vimeo or YouTube (Vimeo preferred).